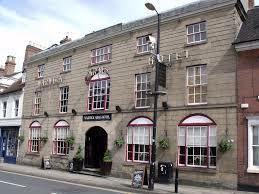 The association meeting is held in the Warwick Arms Hotel starting at 7.45pm. The Heart of England Branch of the Western Front Association will be meeting on April 10th at the Warwick Arms Hotel to hear a talk from the author and historian Stuart Hadaway. Non members are welcome. The title of the talk is “Blood on the Sand – the Action at Qatia, 23rd April 1916”. This is the outline of the story. A detailed look at the small but important action in the Sinai Desert 23rd April 1916, when a single British cavalry brigade thwarted a major Ottoman attack on the crucial Suez Canal, albeit at horrendous cost to themselves. On this day, an Ottoman force intent on attacking the Suez Canal (what Kaiser Wilhelm called the ‘jugular vein of the British Empire’) ran into the British 5th Mounted Brigade at the oases of Qatia/Katia and Oghratina. The Warwickshire Yeomanry, Queen’s Own Worcestershire Hussars (Yeomanry), and Royal Gloucestershire Hussars (Yeomanry) fought for most of the day under the burning sun, outnumbered and without support. The brigade took terrible casualties, but held the Ottomans back long enough for the canal defences to be activated, allowing the attack to be defeated and the crucial waterway kept open.